“The Cossacks” is a series of animated shorts produced in the USSR by the Ukrainian film studio “Kievnauchfilm”. 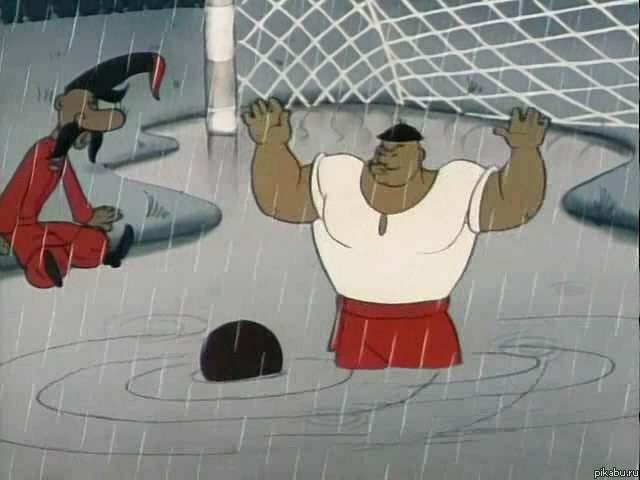 The following cartoon about how the Cossacks play football was filmed in 1970. 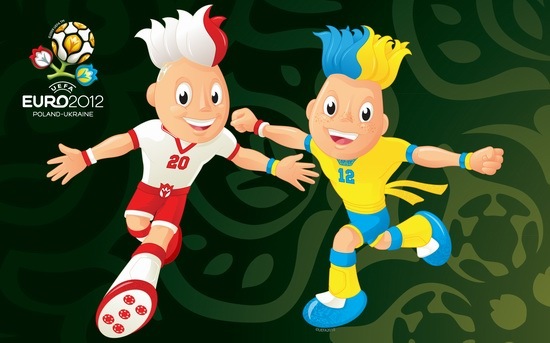 The cartoon surprisingly accurately predicted the group of Ukraine at the recent European football championship 2012, and even the order of the matches is correct: Sweden, France, England. The score of the match Ukraine-Sweden (2-1) is also correctly predicted. 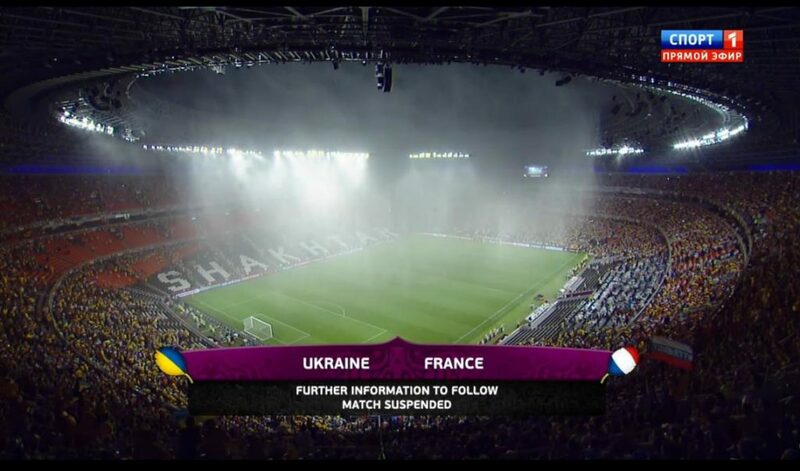 And finally there is a scene with heavy rain that is similar to what happened during the match Ukraine-France in Donetsk. Good luck to all Euro 2012 participants! The European Football Championship 2012 begins today. The championship is hosted by two countries: Poland and Ukraine. The opening ceremony will be held in Warsaw (Poland). Tomorrow the first Ukrainian matches will be played: Germany Vs Portugal at the stadium “Arena Lviv” in the city of Lviv and Netherlands Vs Denmark at the stadium “Metalist” in Kharkov. The regional sports complex “Metalist” is a multifunctional stadium located in Kharkov. 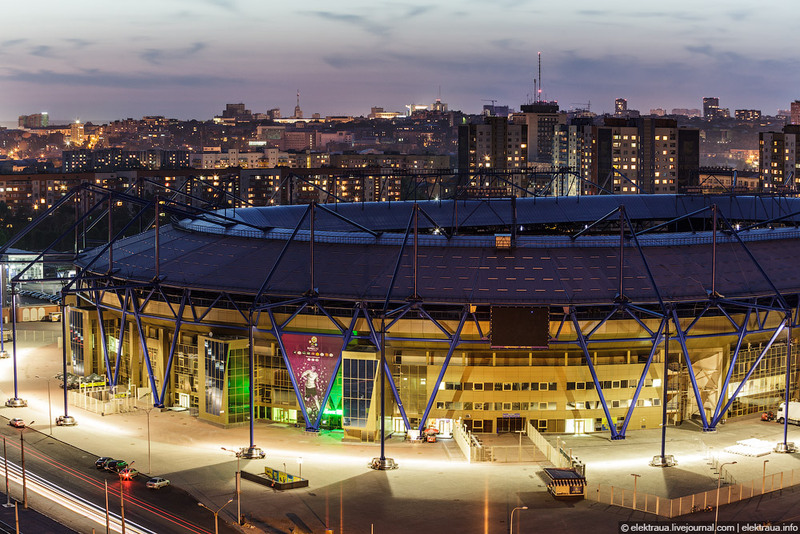 It is the central stadium of the city primarily used for football matches; the venue for home matches of FC “Metalist”. Good luck to Ukraine’s football team at Euro 2012! The year of 2012 will be particularly important for Ukraine’s national football team because Ukraine together with Poland will be the hosts of the European Football Championship – Euro 2012. The matches in Ukraine will be played on the stadiums of Lviv, Kiev, Kharkov and Donetsk. According to the draw the Ukrainian team will compete with teams from England, France and Sweden. So far Ukrainian team had the greatest success in 2006, when Ukrainians made their way to the World Cup, and reached the quarterfinals stage. Good luck to the Ukrainian team at Euro 2012! National sports complex “Olimpiyskiy” (“Olympic”) is a multipurpose sports facility in Kiev, Ukraine. 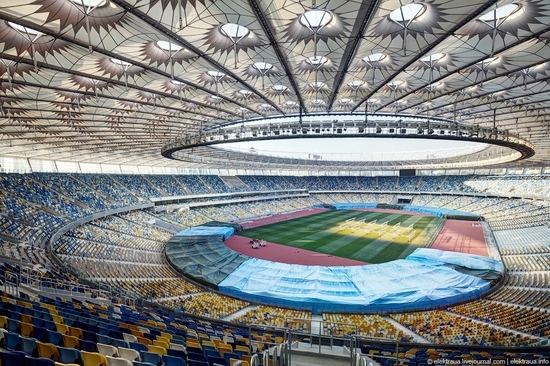 The stadium is the main sports arena in Ukraine and one of the largest stadiums in Europe. The stadium is located in the center of the city, on the slopes of Cherepanovaya Mount. Address: Kiev, Krasnoarmeyskaya Str., 55 (Pechersky District). The nearest subway stations are “Olympic” and “Palace of Sports”. In the very center of Kiev, at the bottom of the Cherepanova Hill, there is the place where one of the biggest clusters of sports facilities in Europe is located. Since 1996 it has the name of National Sports Complex “Olympic”. 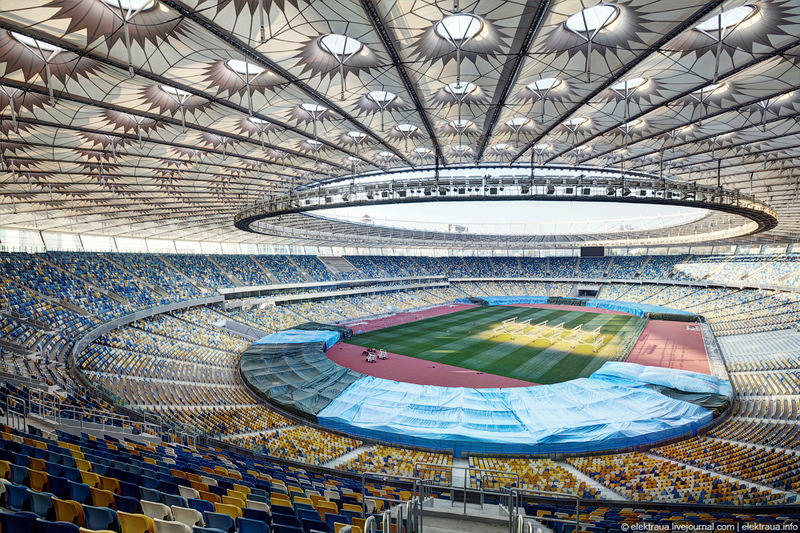 After being reconstructed the stadium connects Ukrainian sports history of 80 years with European experience and ultramodern technologies. Among all sports arenas that are being prepared for Euro-2012 Olympic NSC is the largest, the total capacity will be 70,050 spectators’ places (68,055 places for EURO-2012). An excellent example of how you can stay in shape in old age by Yuri living in Merefa town of Kharkov oblast, Ukraine. UEFA Euro 2012 will be the 14th European Football Championship. The tournament will be conducted jointly by Ukraine and Poland. It will begin June 8, 2012 and end on July 1, 2012. 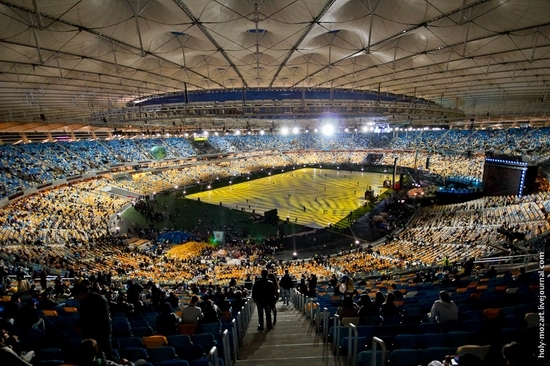 Euro 2012 will be held on stadions of Kiev, Donetsk, Kharkov, Lvov (Ukraine), Warsaw, Gdansk, Poznan and Wroclaw (Poland). The opening of the championship will be held in Warsaw, and the final – in Kiev.